For most teens, back to school time means stocking up on school supplies, picking out new clothes and finalizing class schedules. But one of the best ways they can prepare for success this school year is to commit to getting enough sleep. As students head back to school, the National Healthy Sleep Awareness Project is launching the “Sleep Recharges You” campaign, urging teens to get eight to 10 hours of sleep per night to promote optimal health. When well-rested, teens are more likely to be healthy, energetic and have a positive attitude toward life in general — helping them to be their best and do their best this school year. Adequate sleep is key to teens’ happiness, health and success. 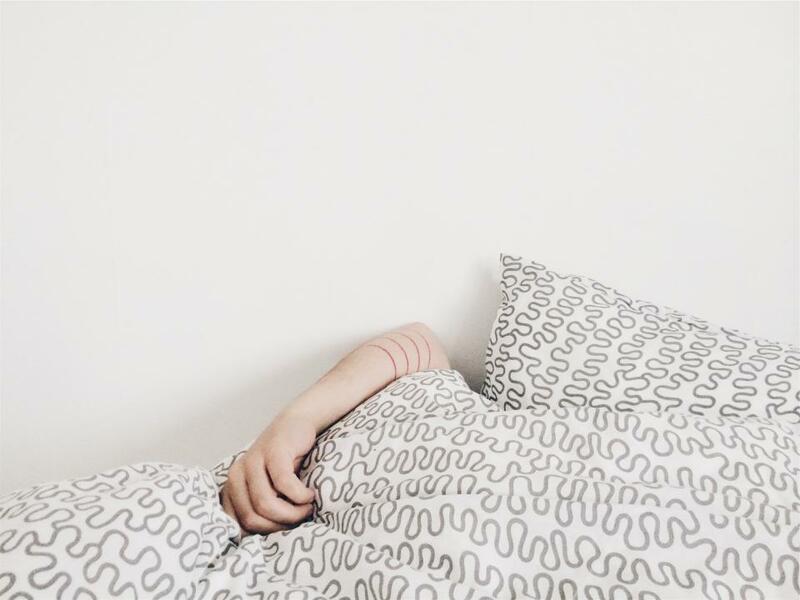 More than two-thirds of high school students in the U.S. are failing to get enough sleep on school nights, according to a 2016 study published by the Centers for Disease Control and Prevention (CDC). Results show that 69 percent of surveyed students in grades 9 to 12 reported sleeping less than eight hours on an average school night. Insufficient sleep in teens can impact everything from grades to safety. Sleepy teens may fare worse in school than their well-rested peers. Studies have shown that teens who are sleep deprived may be more easily distracted and recall information more slowly. Sleeping fewer than the recommended hours also is associated with attention, behavior and learning problems. Lack of sleep may impact teens’ athletic performance. When teens sleep, hormones are released that help them grow taller and develop muscles. Sleep also helps restore energy to the brain and body. Teens who lack sufficient sleep face dire health and behavioral consequences. Studies show teens who sleep less than the recommended hours are more likely to be overweight and develop hypertension and diabetes. Additionally, insufficient sleep in teenagers has been found to increase the risk of depression and is associated with increased risk of self-harm, suicidal thoughts and suicide attempts. Insufficient sleep also significantly increases teens’ risk for drowsy driving accidents. A 2014 study found teen drivers who start class earlier in the morning are involved in significantly more motor vehicle accidents than those with later start times. Motor vehicle crashes are the leading cause of death for teens in the U.S., according to the CDC. Teens should be encouraged to take the initiative to make sure they get enough sleep every night to recharge. The AASM advises parents and caregivers to help by modeling healthy sleep habits, promoting a consistent sleep schedule and creating a quiet sleep environment for their teens. Additionally, setting restrictions on screen time before bed is key to helping teens get to sleep on time. Teens may be tempted to keep using their laptops, smartphones and game consoles late into the night rather than going to sleep. According to the AASM, a natural shift in the timing of the body’s internal “circadian” clock occurs during puberty, causing most teens to have a biological preference for a late-night bedtime. Returning to an early morning school schedule can be a shock to the system for teens who have been free to be night owls during the summer. As teens prepare to go back to school, they should gradually go to bed at least 15 minutes earlier each night and wake up 15 minutes earlier each morning until they are on their school schedule. It also is important that parents and local school boards work together to implement high school start times that allow teens to get the healthy sleep they need to meet their full potential. The AASM recommends that teens between 13 and 18 years of age should sleep eight to 10 hours per night on a regular basis to promote optimal health. This recommendation, which was released by the AASM in June, followed a 10-month project conducted by a Pediatric Consensus Panel of 13 of the nation’s foremost sleep experts, and is endorsed by the American Academy of Pediatrics, the Sleep Research Society and the American Association of Sleep Technologists. The expert panel reviewed 864 published scientific articles addressing the relationship between sleep duration and health in children, evaluated the evidence using a formal grading system and arrived at the final recommendation after multiple rounds of voting. Parents who are concerned that their teen is sleeping too little or too much should consult a board-certified sleep medicine physician or visit www.sleepeducation.org to find an accredited sleep center nearby. The National Healthy Sleep Awareness Project was initiated in 2013 and is funded by the Centers for Disease Control and Prevention through a cooperative agreement with the American Academy of Sleep Medicine. The project involves a collaboration with the Sleep Research Society and other partners to address the sleep health focus area of Healthy People 2020, which provides science-based, 10-year national objectives for improving the health of all Americans. The sleep health objectives are to increase the medical evaluation of people with symptoms of obstructive sleep apnea, reduce vehicular crashes due to drowsy driving and ensure more Americans get sufficient sleep. For more information, visit www.sleepeducation.org/healthysleep.